A world of magic awaits you in Issue One of Mystic Illuminations! Mystic Illuminations is an online, literary journal that resounds with the voice of mystics, authors and creators who dare to see beyond the mundane, who traverse new landscapes and who find answers in a drumbeat. Offering esoteric writing in four genres - fiction, micro-fiction, nonfiction and poetry - Mystic Illuminations invites you to explore the magic through words. Our newest issue offers a Star Walker, an intrepid cat, the light of Unity and so much more to inspire you. So, sit back, relax into this season of growth and explore the magic in these pages. 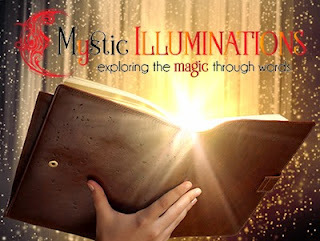 Visit www.MysticIlluminations.org and step into the magic!